Do you remember when your love affair with music began? The early 1980’s were the beginning of a new phase of life for me – I started developing my own preferences in music. Gone were the days of listening to the music of my siblings. 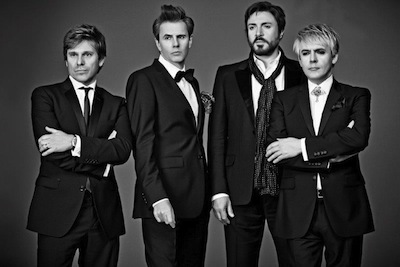 Goodbye Elton John and Queen – hello Duran Duran and new wave! Listening to Cleveland’s top pop music station, 98.5 WGCL, I heard a lot of Duran Duran along with other rock and new wave style bands. I was hooked! For many years, the radio provided me with my music fix, but I wanted more. I didn’t want to wait anymore for my favorite songs or artists to come over the airwaves. The first album I bought with my money was Duran Duran’s epic third album, Seven and the Ragged Tiger, which is still my favorite album by Duran Duran. I listened to it over and over in my bedroom on my little disco light record player. I memorized every single lyric and sung it loud and proud – whenever Mom-ster and dad were gone, that is. When Mom-ster and dad weren’t home, I loved graduating from the record player in my room to the one dad had in our living room. Hi-fi stereo sound! The Reflex never sounded better on that stereo. I would dance around the living room, singing to the cats on our couch. I lived for my afternoons alone in the house. My best memories are when I would spend the night at my best friends’ house and we’d put on “concerts” in her room for her dogs. John’s bass guitar became a tennis racket and Simon’s microphone, a hair brush. We played Duran Duran’s albums loud and sung along even louder. In our young and dazzled eyes, we were the biggest and best Duranie’s out there. 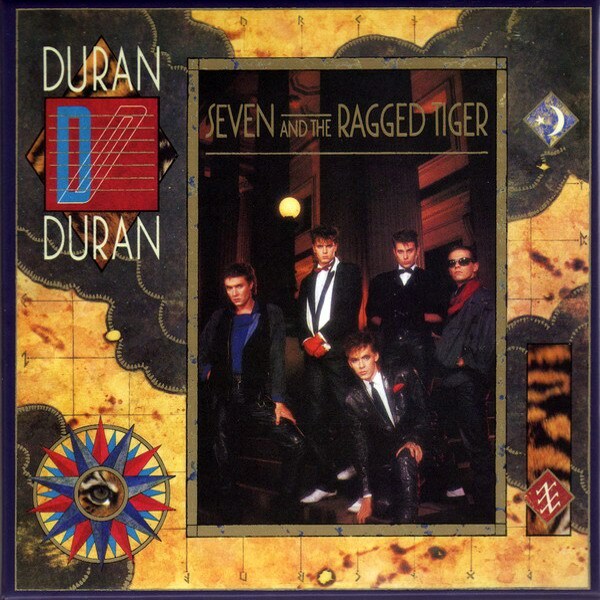 Seven and the Ragged Tiger started my lifelong love affair with Duran Duran. It didn’t take long before all of my friends and family knew I was a proud Duranie! I lived and breathed Duran Duran. Their music helped my somewhat bleak pre-teen and teenage years gain some happiness. My brother, who is 10 years older than me, bribed me to babysit my nephews with copies of Sing Blue Silver and Dancing on the Valentine on VHS and of course, all-I-could-watch MTV. Mom-ster didn’t “believe in” cable TV and we didn’t own a VCR, so I always jumped at the chance to indulge in something that was commonplace to all of my peers – it made me feel somewhat normal. As I sit here writing these precious memories, I am listening to Seven and the Ragged Tiger. The music transports me back to much simpler days when my life revolved around music, fashion and boys. I might be in my mid-forties, but when I hear the melodic tunes of Duran Duran, I close my eyes and pretend I am twelve years old again. In my mind I am dancing and jumping around like a fool, singing at the top of my lungs with not a care in the world. My love affair still continues to this very day. It seems that every time I need the courage or an uplift they throw a new song out that makes me say, “I got this” . Finest hour is always a reminder to me.